At Renaissance Roofing, Inc., all of our employees and roofing crews are GAF Master Elite certified and extensively trained in-house. Our employees are our 'own' background screened employees. Donald DePriest, the owner and operator of Renaissance Roofing, Inc., along with our project manager and foreman, work closely to manage your project - ensuring attention is given to every detail. Renaissance Roofing, Inc. prides itself on quality, not quantity. Our customers are our most valuable asset. We would not be in business if it were not for their referrals and satisfaction. 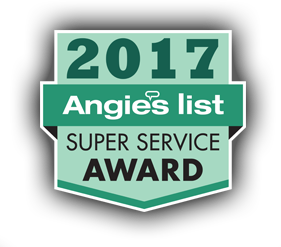 We continue to be awarded the Angie’s List Super Service Award, which we have earned annually and consistently since 2007. Differentiate ourselves by providing high-quality work and excellent customer service. Educate the homeowner about the roofing process and roofing material options available. Evaluate the entire roofing system, which will include an attic inspection. Offer competitive pricing and payment options. Provide courteous crews with a good work ethic. Our office is located in Plymouth, MI and we provide roofing repair and installation services to homeowners in Ann Arbor, Plymouth, Northville, Livonia, Novi, and throughout Western Wayne County, as well as portions of Oakland and Washtenaw Counties. Renaissance Roofing, Inc. has an A+ rating and has been a Better Business Bureau accredited business since 1997. BBB has determined that Renaissance Roofing, Inc. meets their accreditation standards, which include a commitment to make a good faith effort to resolve any consumer complaints. 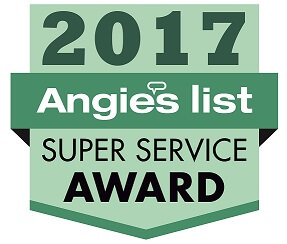 Renaissance Roofing, Inc. has earned the service industry's coveted Angie's List Super Service Award, reflecting an exemplary year of service provided to members of the consumer review service in 2016. Renaissance Roofing, Inc. has earned this award for ten consecutive years since 2007. Renaissance Roofing, Inc., celebrating our 21st year in business, is a full service roofing contractor. In achieving 21 years in business, we have learned how to sustain a business for the long term. A workmanship warranty from a contractor is only as good as the business providing it. A warranty from a business that has failed will not provide protection to a homeowner if the contractor they chose is out of business. Homeowners should consider the contractor’s years in business when making a decision on a new roof that should certainly last decades. When Renaissance Roofing, Inc. provides you with a proposal for your roofing work, our aim is not to be your lowest proposal. 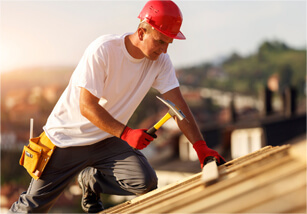 Price is only one factor in deciding on a roofing contractor. Remember, you get what you pay for. There is always a trade-off between quality and price. We strive to do the best job possible with an emphasis on details, not just enough to get the job done. When you hire Renaissance Roofing, Inc., you will receive quality materials, a high standard of workmanship, exceptional skill, and a licensed and insured contractor with a sense of community and personal responsibility. We are sure that this is what our customers want and expect! Renaissance Roofing, Inc. continues to give back to the community. In 2013, 2014, and 2015 we partnered with GAF to donate labor and materials to roof two new single-family homes. Renaissance Roofing was so excited to be a part of the Habitat for Humanity Blitz Build!